We stayed at the Sheraton Chicago and spent a lot of time in their Club. Our clubbing experience mostly involved quietly drinking sodas and eating granola bars. Sheraton provided our group with two rooms connected by a door, each with two queen beds and a bathroom and access to the Club Lounge, hence all of the club references. We flew into the O’Hare airport and took the train to the hotel’s closest stop. From the train stop, we walked for about 10-15 minutes through downtown Chicago. Parking in Chicago can be difficult, especially in downtown Chicago. If you are driving to Chicago and want to stay in a downtown hotel, expect to budget anywhere from $40-$60 a day for parking. Really, it’s easiest not to have a car if you want to stay downtown. Our train tickets cost $5 from the airport to the hotel and about $2.50 vice versa. O’Hare and the train stop closest to the Sheridan are on opposite ends of the line, but it’s an easy 30-minute ride. There are lots of stops, but the ride goes by quickly. We noticed a lot of people carrying luggage through the downtown area, so don’t feel sheepish about doing so. The hotel is massive and the lobby is attractive. You’ll find many sitting areas, big glass containers of fruit-infused water, and flowers. At least two conferences occurred in the hotel during our stay. I’m one of those people who is OK with my own filth, but totally freaked out by other people’s. But in all honesty, I found the hotel to be very clean. Obviously, the hotel staff was aware they were hosting bloggers, but I didn’t notice anything untidy from the lobby bathroom to the elevators. Who doesn’t love artwork above the toilet? As a word of caution, your hotel room may contain a motion-activated tray of tempting la cart snacks. This little jar of cookies was so cute that I grabbed it after noticing the sign that said guests are charged for snacks lifted from the tray. If you or your child accidentally picked up one of the snacks, you could try talking to the staff like we did. I’m sure this happens all of the time. We stayed at the Sheraton for one night. One of our trip coordinators has a connection with the hotel who surprised us with some evening snacks. I don’t turn down free champagne. We spent a lot of time in the Club Lounge located at the 33rd Floor. The Club Lounge is a beautiful space equipped with comfortable furniture, granola bars and fruit, chilled sodas and bottled water, wifi, pool tables, televisions, coffee and espresso. According to the website, the lounge also provides business travelers with meeting space and some office supplies. The view’s nice too. Guests with Club Lounge access are invited to enjoy a continental breakfast and evening appetizers. We caught the last half of the appetizer hour on Thursday evening and found chips and salsa, mini egg rolls, beef skewers, and cheese platters. I think guests can order beer, wine, and cocktails from the server for an additional charge. If you want to catch the food at its freshest from the kitchen, arrive near the beginning. The lounge breakfast included pastries, fruit, granola & greek yogurt, hard-boiled eggs, bagels (toaster provided), and a steaming kettle of hot oatmeal. I especially liked the coffee, yogurt and granola & mini croissants. I loved how these croissants tasted like real butter and had some lacquer on the outside. I’m experiencing croissant withdrawal and ate my fair share. Overall, I found breakfast thoughtful and adequate. If you have Club Lounge access, you’d be wise to grab breakfast here. The evening appetizers are pretty substantial and could provide a light meal. So how does one get Club Lounge access? It appears the Sheraton Chicago provides a lounge access upgrade with room reservations. I searched for reservations on a random June weeknight for a similar room with Club Lounge access and found it cost about $395 prepaid & $418/night with a flexible reservation. The Club Lounge access upgrade might cost about $44 more per day. This upgrade could be worth it for those sharing a room with at least one additional person who plan to take advantage of all of the food options, and business travelers. Starwood Preferred Guests also get free club access if they are platinum members (meaning they booked 25 stays in a calendar year). Keep in mind that if you are not a Starwood Hotels & Resorts preferred guest, internet is not included in your room rate and will cost an extra $15-19 per day. As far as I can tell, you can receive the free internet as a preferred guest by registering online and booking your room through their website or app. In conclusion, I enjoyed my stay at the Sheraton Chicago and can’t describe anything I didn’t like. Obviously, the hotel was expecting bloggers. The space was beautiful, staff greeted us warmly, and treated us to perks we weren’t expecting like Club Lounge Access and champagne. The only drawbacks I can think to mention are that the trays of snacks in your room are motion-activated and that the hotel could possibly be cost prohibitive. Jake and I have found that hotels accessible to touristy areas of downtown Chicago (or any large city) provide smaller rooms, cost more per night, and don’t include as many amenities in their basic nightly rate. If you want to stay within walking distance of Navy Pier, Millennium Park and Michigan Ave, the reality is that you’re going to pay more for this convenience. Plus, there’s the whole cost to park your own car downtown. Expect to pay $60 a day for valet parking or at least $40 to self park in a downtown ramp. It’s really easier not to have a car if you are staying here. The public transportation to and from the airport is affordable and easy to navigate. 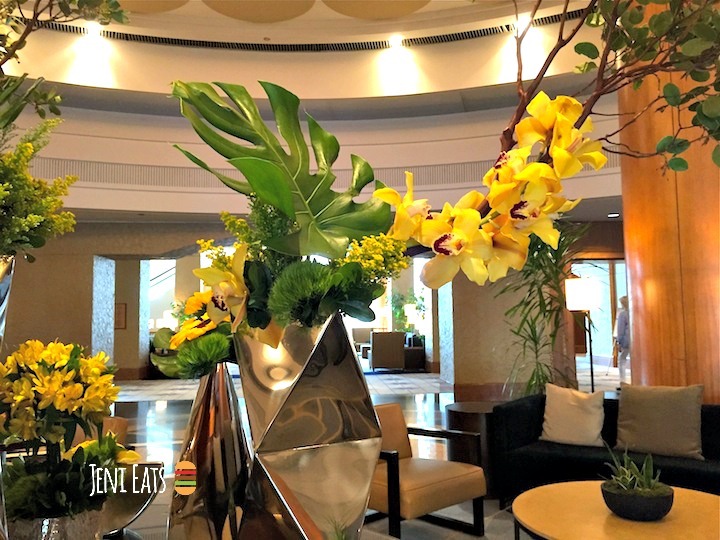 If the Sheraton Chicago is within your budget and you want to stay downtown, I feel confident telling you to go for it! If it’s not, there are lots of hotels and bed and breakfast in cool neighborhoods near the downtown area that provide good values and amenities, too. Thank you to the staff at the Sheraton Chicago for hosting our group and giving us full access to the hotel’s amenities. We’re a little stir crazy, so we decided to taste test retro food products. I want to complain about the snow, but also feel pride that this weather makes us tougher. When 20 degrees rolls around, I’ll be gleefully running errands without a hat while people in warmer states will shiver at the thought. Yesterday read -6 with a doomsday windchill. The snowflakes remind me of the fake snow found in department store displays. It’s so light and fluffy that the winds whip it into white outs. Our little dog is stir crazy, too. Yesterday, I asked him if he wanted to head outside and go to the bathroom. Well, OK then. I suppose I wouldn’t want to either. How does one fend off cabin fever during a week when school’s cancelled due to the cold? Taste test wacky retro products, of course. For this project, I visited Fareway‘s meat counter and Martin Bros. Food Market in Mason City, Iowa. I appreciate how the butchers at Fareway treat every product with the same dignity, from ribeye steaks to processed Mr. Rib patties. They carefully measure each item and wrap them tidy little packages with brown paper. Martin Brothers sells bulk foods and party supplies. You’ll find items like big bags of vegetables and every fried appetizer you could possibly imagine in their coolers. I selected four items that harkened back to my grade school cafeteria days: Pizza Patties, BBQ Rib Patties, and Chicken Crispitos from Fareway and Mexican Pizzas from Martin Bros.
And finally, who remembers Mexican Pizzas? Our elementary school offered pizza once a week and always listed them as “Tony’s Pizza.” Pizza day was special because we could choose from big rectangles of cheese, pepperoni or sausage pizza or this hexagonal oddity, the Fiestada. I baked the products at 375℉ until pizza was bubbly and the Crispito was, well, crispy. Pizza Patty: A reader mentioned this product is best fried. It crisped in the oven and oozed cheese. Long story short, this wasn’t our thing because we didn’t enjoy the strong sausage flavor. There’s a lonely Pizza Patty, whom I shall call Patty, chilling in our fridge. Any takers? Mr. Rib: This was our favorite item. Baking the patty gave it a firmer texture while the sauce formed a glaze. We split the patty in half and them in small buns with dill pickle chips. Jake commented Fareway’s tastes better than the McRib. It’s so naughty-good we’re going to eat the second Mr. Rib. Sorry if you’ve gotten attached to him Miss Pizza Patty. Crispito: When I first pulled the tubular Crispito from its wrapping, I knew my main goal was to make it crisp. Afterall, it is a Crispito, right? What appeared to be a corn tortilla shell did, in fact, crisp up in the oven. I have no idea what comprises the filling, but it tastes similar to the El Monterey Taquitos my mom used to purchase. Jake and I dipped each half into salsa and concluded the product tasted pretty good. If you like Taquitos, there’s really nothing objectionable about this. Jake still prefers Taquitos, but I prefer Crispitos. *Some friends added Fareway’s Crispitos taste closest to the ones served in their school cafeterias while others nominated Martin Bros‘s. Mexican Pizza/Fiestada: This hexagonal wonder still tastes like it did in grade school. The only difference is the crust seems puffier. According to Schwan’s website, the crust contains 51% whole grains (not just 50%, but 51% lol) which lends a heartier texture. “It tastes good. No wonder it’s still around,” observed Jake. While we want to space out our Fiestada consumption, we won’t cry over the five left in our freezer. And this concludes my foray into revisiting school cafeteria foods. Is there a specific food you’d like to revisit or leave in the past? Wini’s Pork Meatballs With Dijon Cream Sauce are too good, it’s true. Jake and I know we’ve hit the dinner jackpot when we battle over leftovers. In this case, Jake won. Wini is a writer, Des Moines Register columnist, and blogger who wrote French Cookbook La Chez Bonne Femme and The Braiser Cookbook. Last fall, I had the pleasure of meeting her at the Iowa Food & Lifestyle Blogger gathering in Iowa City. When she generously offered to let us enjoy her newest cookbook and choose a recipe to share, I jumped at the opportunity. The Braiser Cookbook is an e-book available on Amazon and it’s a steal at $2.99 (as of 10/18/14). I appreciate how all of the recipes are both elegant and approachable for the home cook. There really isn’t a recipe in this book that I’m too intimidated to try in my own kitchen. And guess what? I don’t even own a braiser. All of these recipes can be prepared at home without a braiser, and Wini provides advice for adapting them accordingly. Jake and I have experienced a busier than any other in recent memory. We’re out-of-town more weekends than we’re home and crave warm, homecooked food after work. I gravitated towards Wini’s meat balls recipe because they were simple to prepare on a weeknight. The Baked Cabbage With Bacon and Apples she suggested as a side dish was also a breeze to prepare, but you’ll have to get her book for that recipe. I can’t be giving away all of Wini’s secrets. The meatballs are actually made without any breading or filler. I was surprised by how moist and tender they tasted, since I’ve never prepared a ground meat dish without bread crumbs or oatmeal. They are delicate so Wini recommends flipping them gently with a large tablespoon. The sauce is rich with cream, but not overly so, as it is reduced with white wine and tangy mustard. Plus, the full cup of parsley adds a bright note. I bought ground pork at my favorite butcher shop Louie’s Custom Meats in Clear Lake, Iowa. It’s worth the drive from Mason City. I only took one photo of these meatballs after we had filled our plates. We enjoyed our dinner so much that there was just no time to pause for photos. “I’ll take more tomorrow, when the lighting’s better,” I swore. But alas, when I came home from work they were gone. I could hardly blame Jake, though, because if I had beaten him home from work, I would have eaten them too. The lesson we learned from this dish is that if you really love something don’t ever let it go. For more photos, check out In The Kitchen With Jenny’s post. This recipe is a collaboration between Wini Moranville & Chef David Baruthio of Baru 66 in Des Moines, Iowa. In a bowl, mix together the pork, parsley, egg, garlic, salt & pepper. Go easy on the salt because the mustard is salty and tangy. I added about 1/2 teaspoon. Shape into about 12 meatballs. Heat vegetable oil over medium-high heat in a 3 1/2 quart braiser until the oil shimmers. I used a large saucepan with deep sides and a lid. Add the meatballs to the hot oil and cook until lightly browned. Flip and cook the other side of the meatballs until they are also lightly browned. This should take about six minutes total. Reduce the heat to medium-low and continue to cook the meatballs, turning occasionally until they are browned on each side. Remove meatballs from pan and drain off all of the oil except for a sheen. Cook onions until tender but not brown. Add the wine and cook, stirring up the loose bits from the bottom of the pan. Reduce wine to about 1/4 cup which should take about three minutes. Whisk in the mustard. Add heavy cream and cook, stirring until the sauce is reduced to about one cup. Return meatballs to pan and simmer until they are cooked through (160℉). Per Wini’s recommendation, I served the meatballs with her Baked Cabbage With Bacon & Apples. It’s also easy to whip together. Let the cabbage bake while you cook the meatballs. I like to add splashes of red wine vinegar for some tang.